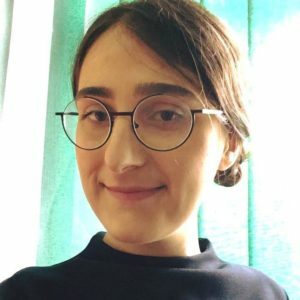 Note from LeftEast Editors: On December 16th, Salome Zurabishvili has been sworn into office as Georgia’s first woman president amid continued denunciations by the opposition that her election was rigged. LeftEast editor Agnes Gagyi has interviewed Nino Khelaia on the post-electoral situation in Georgia and the wider political context that surrounds it. What would be your comments on the elections, what were the main stakes? To understand the recent presidential elections in Georgia, a quick look at the wider political context in the country is needed. When, in 2012, the new ruling coalition “Bidzina Ivanishvili – Georgian Dream” came into power and replaced the United National Movement (UNM) party, public expectation and attention focused on getting rid of the repressive regime consolidated around the UNM, especially during its second term. At the time, the public was so gripped by the state violence narrative that except a few groups of activists, nobody could problematize as intensely the UNM’s massive liberalization program and uncontrolled privatization policies. Aimed at creating an attractive investment environment, the policies were meant to put Georgia in a “competitive” global position. These measures were part of the 2003-2012 “experiment of radical libertarianism” which entailed a near complete refusal of economic regulation mechanisms. Liberalization created not only immediate but also longer-term, dramatic, consequences for the entire society. To mention only a few examples: foreign trade was almost completely deregulated; provision of public goods such as education and healthcare were subordinated to market mechanisms; a new labor code left large parts of the population without adequate protection. At the same time, no redistribution occurred. Progressive taxation was constitutionally banned in 2010 through the famous Liberty Act. This constitutional clause created a unique restriction of parliament’s sovereign right to define state fiscal policy. To sum up, the promise of the 2003 “Rose Revolution”, prosperity, democracy, welfare, and the “right path” in a post-Soviet dysfunctional state, turned out to be misleading. However, this was not the main reason for UNM’s failure in the 2012 parliamentary election. They lost elections mainly because of wider public discontent with its authoritarian turn and brutal methods. With the arrival of the Georgian Dream coalition in 2012, the authoritarian dimension of politics was removed, but the entire economic and social policy framework remained on the same track. The sole exception, a universal public healthcare program introduced in 2013, was rescinded in 2017. This liberal track was simply seen as the only right path. No alternative or competing visions of development were worked out or even searched for. With social inequality remaining at one of the highest levels in the region and unemployment and poverty at alarming rates, the Georgian Dream ruling party was clearly unable to gain economic legitimacy. In response, the party dragged itself in a never-ending, unappealing discursive criticism of institutionally and politically-affiliated remnants of the UNM party (among them, the highly manipulative media channel Rustavi2 and UNM-associated opposition parties). This strategy did not aim at thoroughly dealing with past injustices related to the UNM period on legal, political, and moral levels. Rather, it was a cheap device for self-legitimation, through the depiction of Georgian Dream as a “non-violent-and-therefore-good” political force. This process gradually lost its credibility in the eye of observers and without the party itself realizing it, finally granted the coalition the image of an incapable and ineffective political actor. From the very beginning of the October 28 presidential election campaign, the process was not meant to have very high stakes, as presidential power was significantly limited through the 2017 constitutional amendment that transformed Georgia from a semi-presidential into a parliamentary republic. Georgian Dream did not even present its own nominee for the elections and instead openly supported the independent candidate, Salome Zurabishvili – former French diplomat and Georgia’s former foreign minister during 2004-2005 – the only independent member of the Georgian Parliament since 2016. Results in the first round demonstrated that from among the large pool of candidates, Salome Zurabishvili (38,64% of votes) and UNM nominee Grigol Vashadze (37,74% votes) were the main contenders. This result came as a surprise for the Georgian Dream. The party and the candidate had exhibited exceptionally high levels of self-confidence during the presidential campaign, passing on engagement in campaign activities. The surprise was shared by many voters who did not support the Georgian Dream but also rejected idea of the UNM holding any form of institutional power. This was in fact a depressing and alarming result for the ruling party, as it explicitly showed that the UNM was making successful efforts towards rehabilitating its own image and trying to return as a legitimate political force. For the Georgian Dream this awareness was like an ice-cold shower. It created a moment when the ruling party finally started to consider such real, socially-relevant problems as poverty and high indebtedness. At least on a discursive level, the importance of these problems was eventually acknowledged. Soon after, this acknowledgement was supplemented by an unprecedented “clientelist” step. The Georgian Dream announced its plan of writing off up to 2000 GEL (equivalent of 750 USD) of debt for 600.000 blacklisted citizens, through funding from the private foundation owned by the chair of the Georgian Dream party, Bidzina Ivanishvili. For many people, this provided huge immediate relief. Obviously, it did not represent a structural response to the poverty and high rates of indebtedness, but with shorter goals in mind, for the party, it guaranteed extra insurance that many more people would vote in favor of Georgian Dream. Between the first and the second rounds, the campaign became a toxic battlefield opposing the Georgian Dream and the UNM. Finally, Salome Zurabishvili won with 60% of votes and everyone was happy that this long, nightmare election was finally over. With the way things ended, one can say that liberal democracy in Georgia, with all its basic prerequisites of political participation, political competition and political rights of people, remained safe. The electoral environment was evaluated as competitive, turnout surpassed 56%, and political rights in their broadest sense (with some probable minor infringements), were observed. The question that remains, though, is why was there still such a widespread feeling that the citizens did not have a real choice? Without going into the entire big debate and criticism of liberal democracy and its limitations here, the current local context in Georgia can be described as follows: if, on the one hand, the UNM opposition side is entirely hopeless for all the reasons mentioned above, on the other hand, the ruling Georgian Dream party remains gutted of political ideas and visions for any sort of radical change. In such a disillusioned setting, there is no alternative force being born yet. What does the person and the gender of the president mean for future processes of the country? And how you would comment on the situation in terms of labor/social rights. Her being born into a political emigration setting, in a Georgian family that left the country after Sovietization in 1921, has been one of the highlights of her campaign. Zurabishvili’s family members were politically active during the first independent social-democratic Republic of Georgia between 1918-1921 (not as members of a social-democratic party, however), and the way she narrates her childhood is saturated with a sort of broad nostalgic-patriotic spirit. During the campaign, she pursued this general narrative of patriotism on the one hand, and on the other hand she tried to bring to the fore the professional diplomatic skills of European style. In her own words, those aspects would be a guarantee for “peaceful and united Georgia,” “defending stability,” “uniting society,” “managing constructive collaboration with other branches of power” and finally, “bringing Georgia in Europe and Europe in Georgia.” With presidential power now largely ceremonial and symbolic, her narrative – as you see – did not include any detailed descriptions and rather circulated around such general statements. As a French career diplomat for more than 30 years, she has come to politics through established institutional channels and not through popular support. This might explain why it has been complicated for her to set up firm connections with the wider population and its everyday grievances, and for her to set aside mention of past, elitist European diplomatic experience – something not many Georgians really care about. Until now she has shown almost no significant awareness of social structures and struggles in the country and has not spoken in any terms that go beyond the mainstream liberal understanding of gender, society and politics. To illustrate this point: during the presidential campaign, an alternative trade union, Solidarity Network, approached all presidential candidates to present their visions on labor conditions and labor policy. Despite multiple attempts on the issue, no answer was provided for Solidarity Network’s inquiry. For a country that has a recent history of several hundreds of work place deaths caused by insufficient labor protection and poor labor conditions, this shows a high level of ignorance. Gender Studies in Hungary are now being .. Populism or people’s movements? In ..
Hungary’s ‘Lex CEU’ and th ..
Smartphones and the European flag: the n ..
One must also mention that directing of all criticism towards the ruling party and the candidate Zurabishvili did not make much sense politically during the campaign itself. Many people thought such criticism would automatically work in favor of the other side – or worse. Where there is not much capacity of alternative political organization yet, one acknowledges that merely expressing a critique cannot be an adequate response to such a problematic context, one in which people do not have a real chance to choose. But the fact that what is being said is structured by the logics of political context does not mean that the criticism does not exist. The overarching problem is that in the almost three decades since the fall of state socialism, Georgian political elites are still stuck in this rudimentary post-socialist condition, in which fundamental critique of political and economic order remains impossible; social and economic inequalities remain depoliticized; markets are still the favored solutions; ideas that nourish the elites and institutions come from international financial institutions, international organizations, or elsewhere; and most importantly, as in many post-socialist states, the fundamental question of why everything had to be privatized has not been addressed. On the other hand, the post-socialist-style, professionalized civil society organizations continue to provide their limited and ethically bounded conceptions of what democracy is, what civil society is, and what collective action can be. All this has significantly impeded the process of building wider solidarity structures or relationships that would make wider collective action possible. Georgia’s latest President-elect Salome Zurabishvili, can potentially play a meaningful role in the coming six years (Editors’ note: Zurabishvili was fully instated in office on December 19, 2018). Even though her institutional power will be limited, she still has an opportunity and platform to raise certain issues that go beyond the flat, big, blurry notions of “Europe” or “democracy,” and extend her role to something more than the country’s high-profile ambassador. Alternatively, she could play a crucial role in voicing some of the genuinely acute societal issues, among which underfunded public education, almost completely privatized healthcare and pension systems, intolerable conditions in public transport, non-existent public spaces, staggering housing crises, and the absence of the minimum wage. While she talks about diaspora issues a lot, there are also thousands of Georgian working women abroad whose voices have been silent for decades; she could articulate their stories and try to give migrant women political agency. An array of social topics does not receive attention in the given context of highly polarized and manipulated media spaces, and she could absolutely help to actualize them. All that would be a good scenario should the political left remain extinct. Nino Khelaia is a doctoral researcher in Political Science at the Humboldt University Berlin and Analyst at the Georgian Public Broadcaster in Tbilisi.